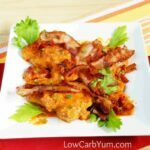 Keto Krate brings low carb keto snacks right to your door each month. 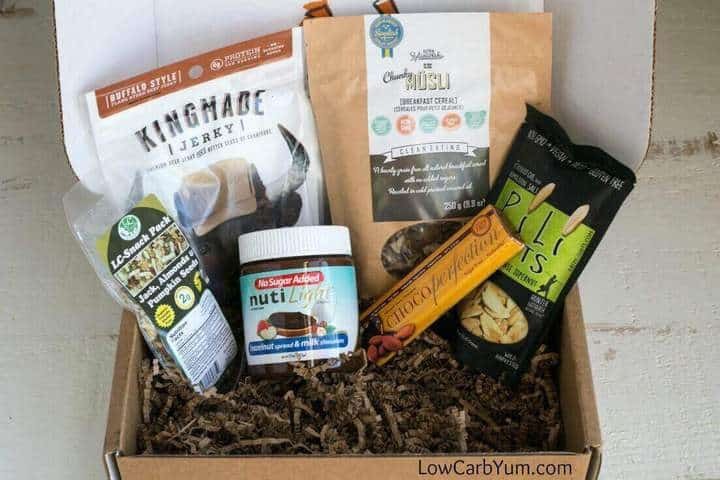 This Keto Krate review details the products in the November 2016 box. Are you getting bored of the same food on your low carb diet? 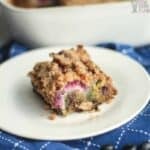 Not enough time to make all the delicious recipes posted? Keto Krate can help! They deliver a fantastic assortment keto snacks. And, you’ll be introduced to many new products. I’ve sampled every monthly box sent over the last year. Although I haven’t liked every single product, the service has been a convenient way for me to sample low carb products. The featured product this month is Pili Nuts. The flavor is coconut oil and himalayan sea salt. They are a softer nut and it’s probably because they have the highest oil content of any nut. Pili Nuts are commercially cultivated in the Philippines. I’m going to have to ask my father and his family about them. I’m wondering if they are popular with Filipinos. Apparently, in the Philippines it’s used in candy and brittle. I actually tried some nut candy when I was in the Philippines. Now, I’m wondering if some of that candy had pili nuts in them. To me, the nuts kind of taste like a softer, waxy peanut. You can bet I’ll be buying more of these. Not only are they a good source of fat, but the nuts are high in magnesium, potassium, and calcium. There’s a 15% discount code included in the Keto Krate. 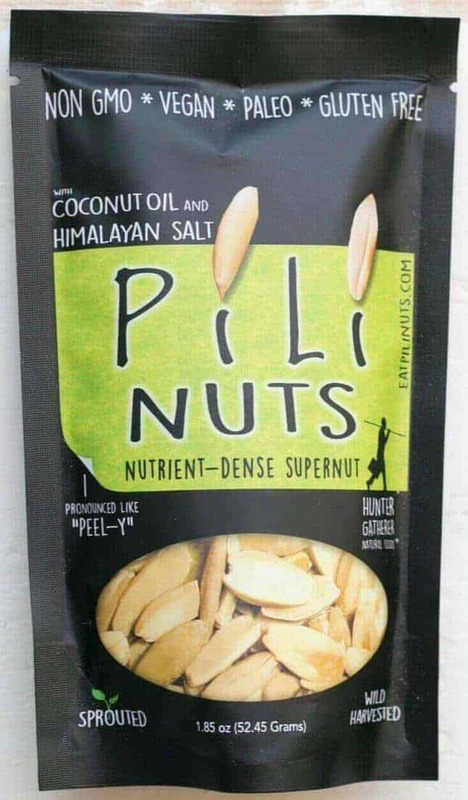 You can also buy Pili Nuts on Amazon. 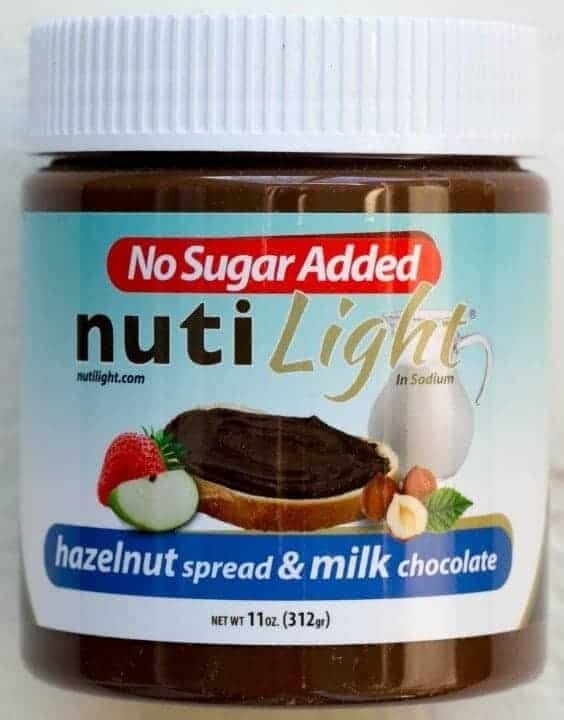 The nutiLight hazelnut spread was previously featured in the March 2016 Keto Krate. However, the flavor in that shipment was dark chocolate. This month, the nutiLight milk chocolate hazelnut spread was included. Both flavors are delicious low carb versions of Nutella. Not sure what to do with this spread other than eat it right from the jar? I made a delicious hazelnut chocolate frosting for my chocolate cake recipe. You can find the frosting recipe on my chocolate cupcake post. Want to try nutiLight yourself? There’s free shipping if you order 3+ jars from the NutiLight website. No discount code needed! You can also purchase the nutiLight spread on Amazon. Chocoperfection bars are often referred to as the best chocolate on the market. They are pretty darn good. The flavor included in this month’s box is Almond Dark Chocolate. It’s certainly a classic flavor! Last year, November 2015, the Dark European flavor was featured. And, it was featured again back in April 2016. Keto Krate knows subscribers love the Chocoperfection bars. That’s why they have appeared in several shipments. Subscribers can save 10% using the included discount code if they want to purchase more at Chocoperfection.com. You can also buy this delicious low carb chocolate on Amazon. I’ve been a fan of LC Foods for a long time. So, it’s nice to see this brand included in this month’s Keto Krate. Although I’ve had many of products sold by LC Foods, I’ve never tried this sample pack. It’s called Jack, Almonds, and Pumpkin Seeds. This snack mix contains freeze dried monterey jack cheese, dry roasted unsalted pumpkin seeds, and dry roasted almonds. 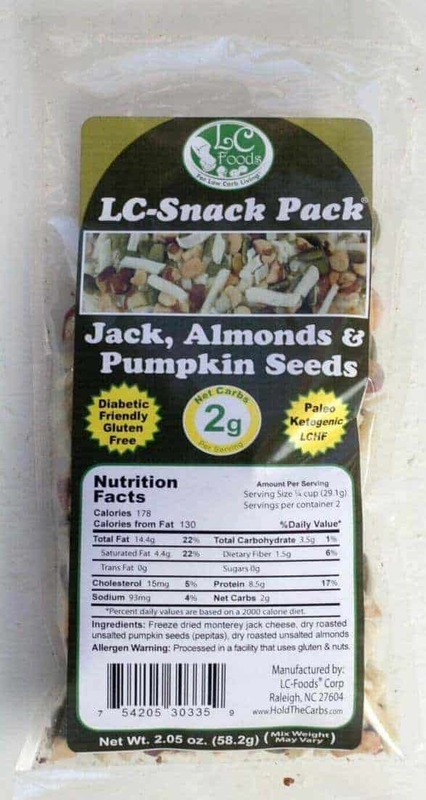 There’s a 10% discount code included to buy more of this snack mix at the LC Foods website. And, you can also buy the mix on Amazon. 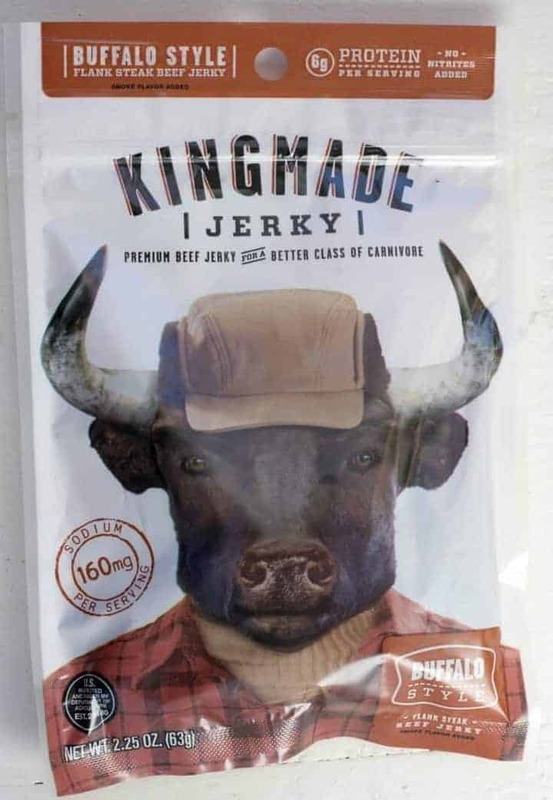 Kingmade jerky was featured in the March 2016 Keto Krate. The flavor featured back then was the classic recipe. This month’s flavor is Buffalo Style. There is 3 grams of total carbs listed per serving. Although it’s not enough to cause a significant insulin rush, I wish the carb count was lower. Jerky is one of the products my husband and I look forward to each month. The Kingmade Buffalo Style jerky did not disappoint. There’s a 10% off discount code included to purchase more products at the Kingmade website. And, Amazon also carries it. 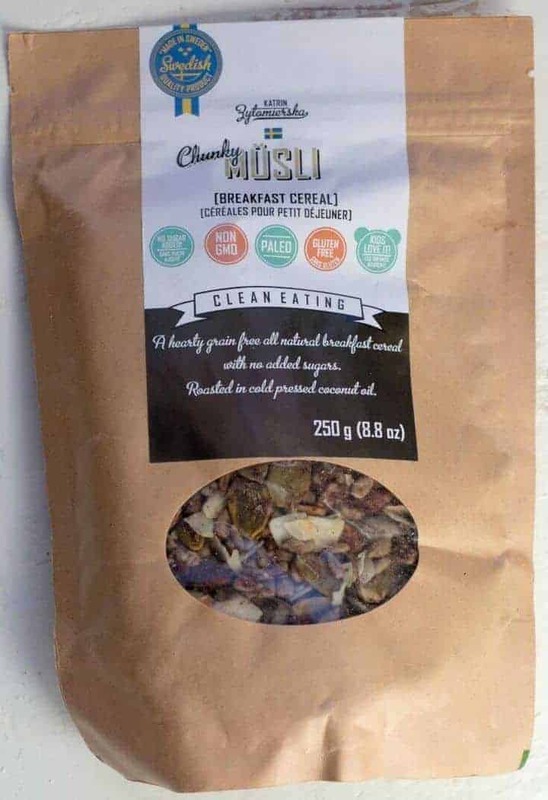 This month’s shipment also included a bag of KZ Clean Eating Musli Cereal. I’ve already sampled this product and provided a review here. I love this product and even came up with my own version. However, the original by KZ Clean Eating is a bit better. Cereal is a convenience food that takes no time to prepare in the morning. It’s a great breakfast item for starting your day. 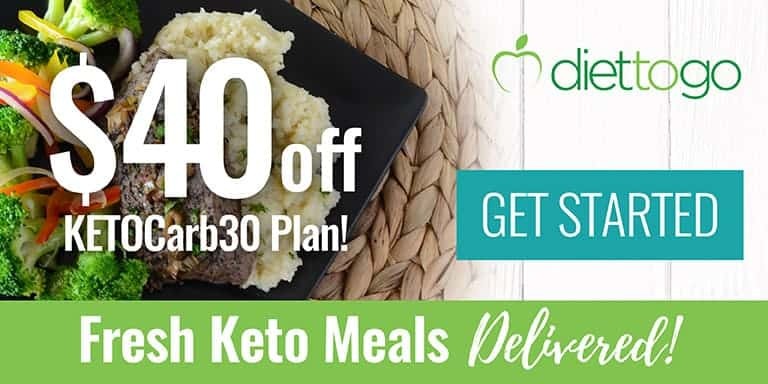 Keto Krate subscribers are getting a special 20% off discount code to use at Amazon to buy more. Since this is a favorite of mine, I’m planning to stock up using the discount. What do you think about the products featured in the November 2016 Keto Krate box? 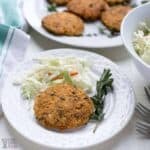 I find the Keto Krate service to be a good value for the convenience of the monthly product delivery. And, the Keto Krate company has been listening to subscribers input on ways to improve the service. So, I believe the that things are only going to get better. 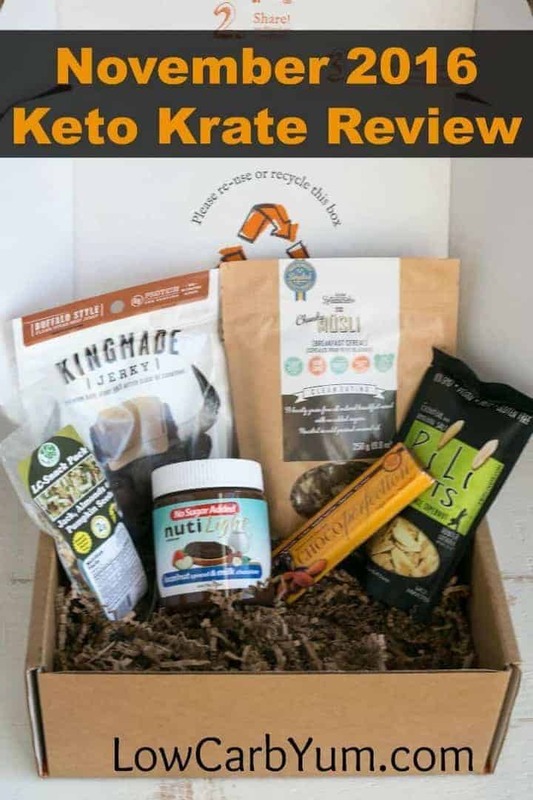 What other products have been included in the monthly Keto Krate shipments? 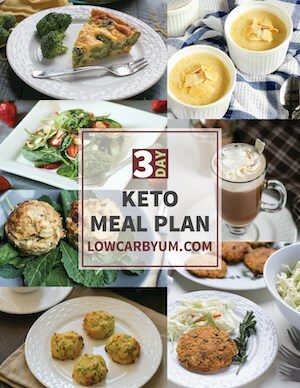 Below are links to my last three Keto Krate reviews. The August 2016 box review is available here. The September 2016 box review is available here. The October 2016 box review is available here. 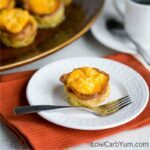 Are you ready to join the keto snack club? Just head over to Keto Krate to subscribe!